The Applications & Websites Report is the main report of your recorded activity. Premium accounts have all features, Lite accounts have a reduced feature set. 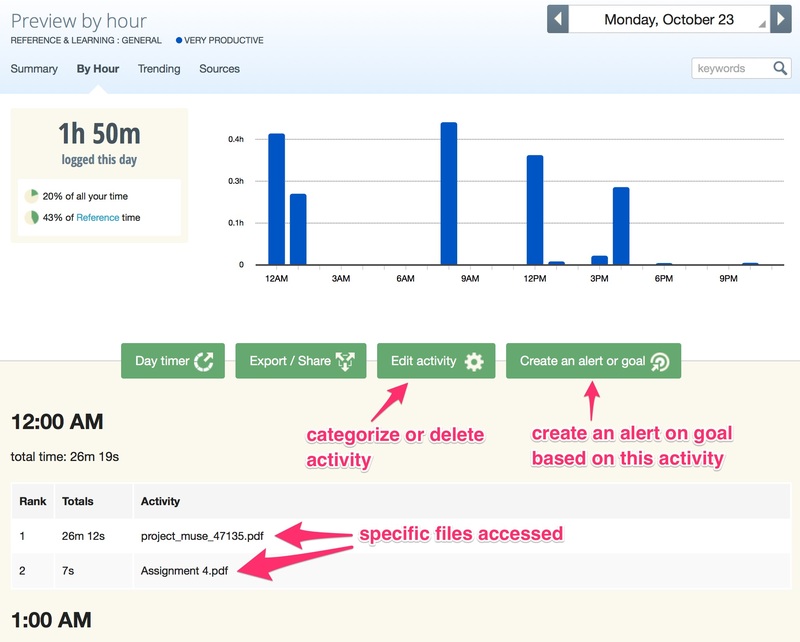 The main All Activities report displays your top activities ranked by time and color-coded by productivity level. If you have RescueTime Premium you can click on the activity names in the graph or in the list below to view extended details for that activity (see below). 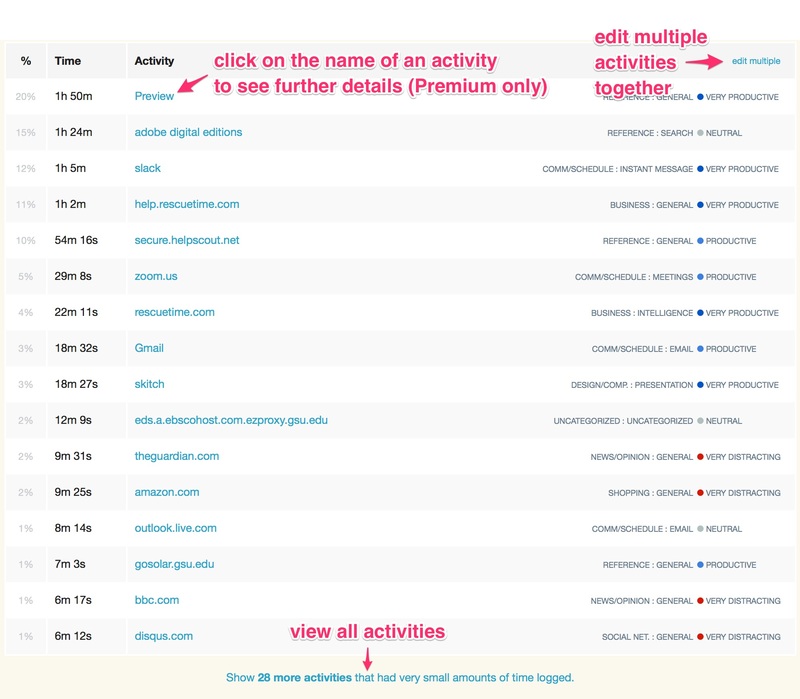 There are three other activity views accessed by the tabs "By Hour," "Trending," and "Sources." The Trending view illustrates the time spent on the top activities over the past month. The Sources tab breaks downtime by source - computer, mobile, and offline time. Below the activities graph are function buttons. The Day-Timer button will open up a resizable real-time-updating window that reports cumulative time logged by RescueTime for the day. 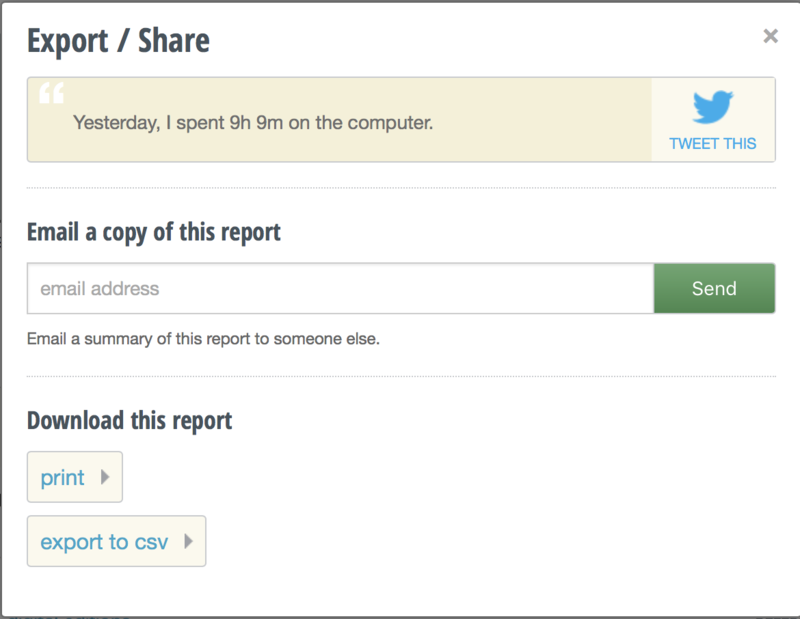 The Export/Share button gives you options for saving or sending the report data. The Categorize Activities button will take you to a page where you can set the category and productivity rankings of the recorded activities. The bottom of the Activities & Websites reports a list of the individual day's activities in order of time spent. Premium users can click on the name of an activity to view further details.